A smiling young monk at Wat Hanchey (photo: Elise Hassey). 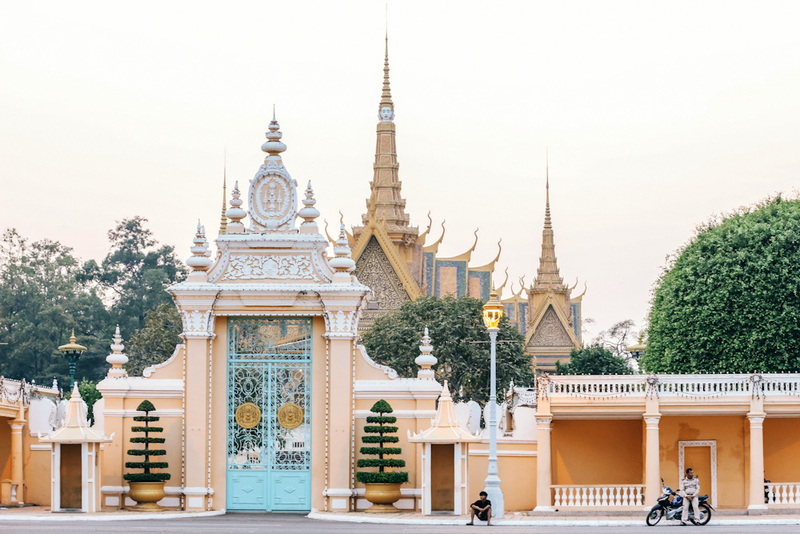 The Victory Gate to the Royal Palace, Phnom Penh (photo: Elise Hassey). 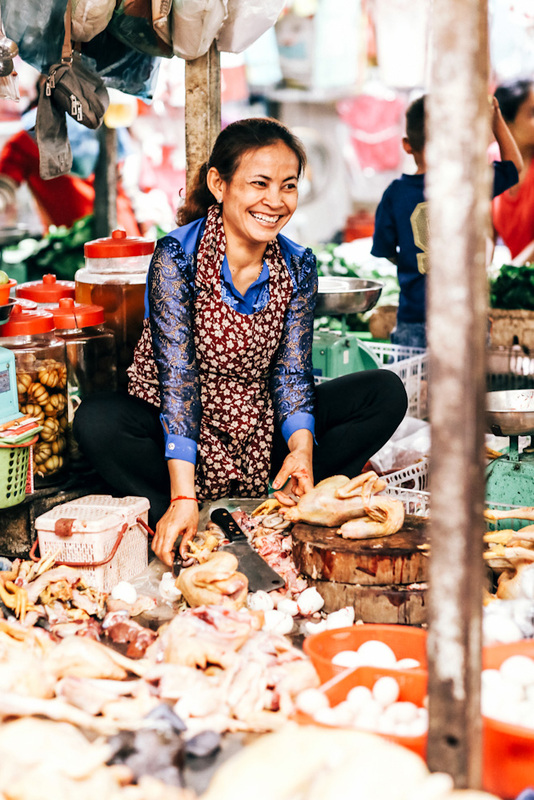 A woman working in the markets of Cambodia smiles warmly (photo: Elise Hassey). 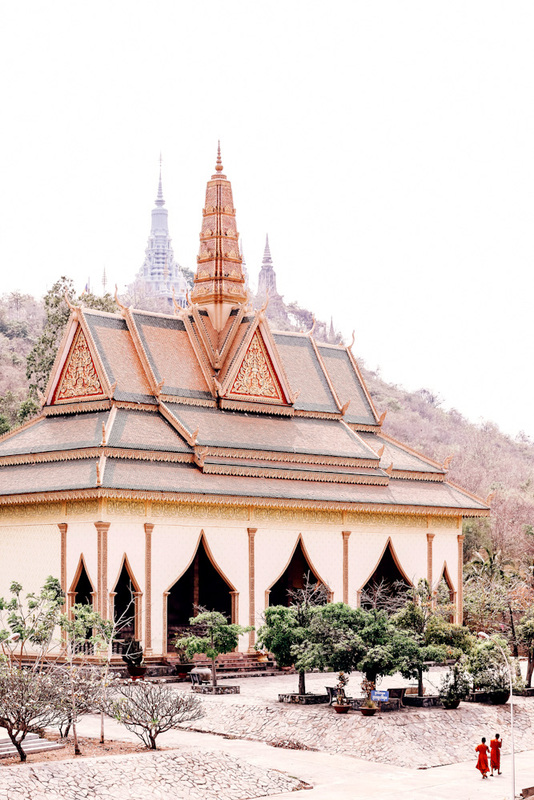 One of the newer buildings in the Oudong Pagoda compound (photo: Elise Hassey). 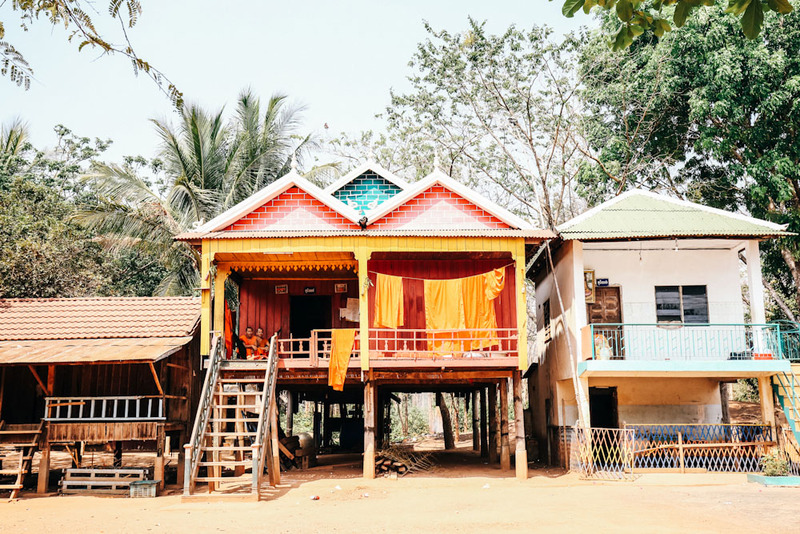 Monastery living quarters in Cambodia (photo: Elise Hassey). 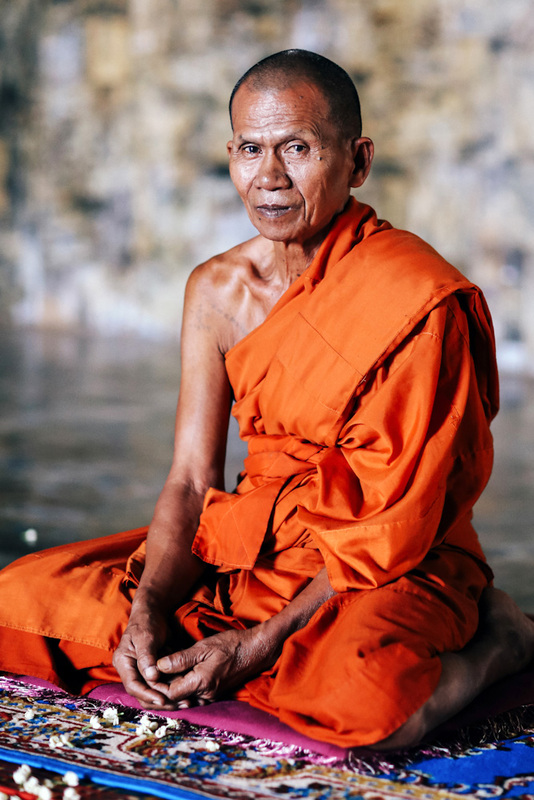 A monk at Oudong Pagoda (photo: Elise Hassey). The famous Angkor Wat roofline in Cambodia (photo: Elise Hassey). 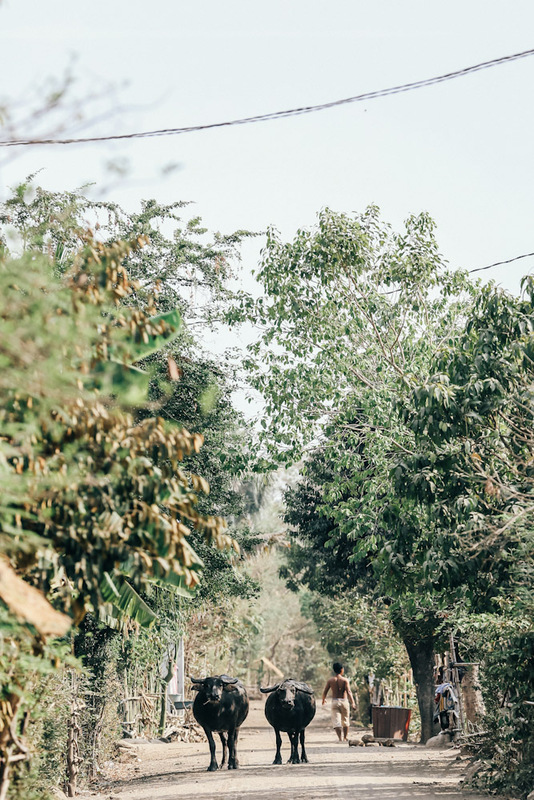 Two water buffalos take a stroll through the weaving village of Cambodia (photo: Elise Hassey). 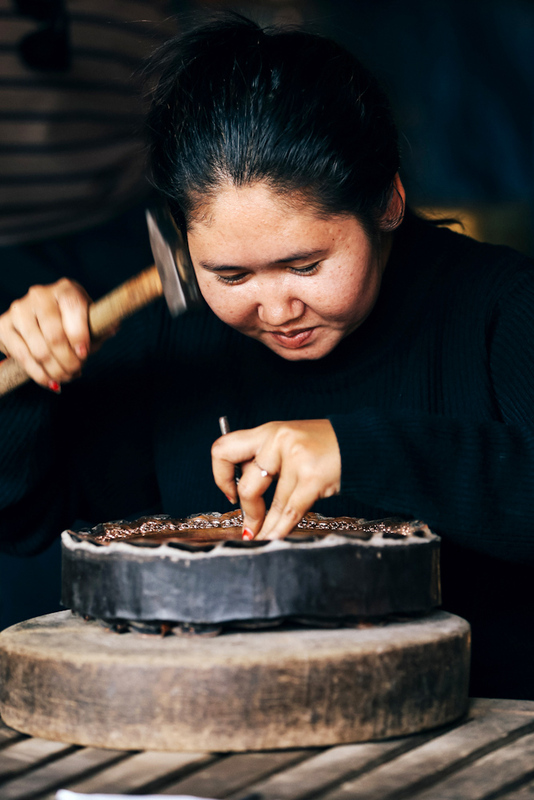 A silversmith hard at work in Koh Chen (photo: Elise Hassey). 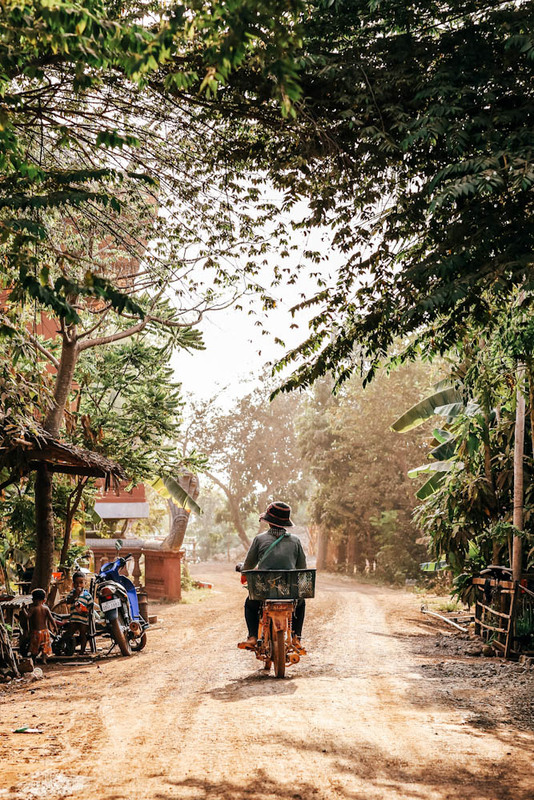 Local man travelling by bike in Phnom Oudong (photo: Elise Hassey). Despite a turbulent history, the intriguing South-east Asian kingdom of Cambodia is an intoxicating mix of colour and warmth, as seen here in Elise Hassey’s photo essay cruising along its thriving artery, the Mekong River. The statistics are sobering: 2.5 million people living in poverty; an average income of just $2.60 a day; 4 million landmines still strewn across the country; half the population under the age of 15. After years of heartache, Cambodia is trying to catch up with the 21st century. But the unaffected tranquillity of the place and the ready smiles of its people belie the facts and figures. 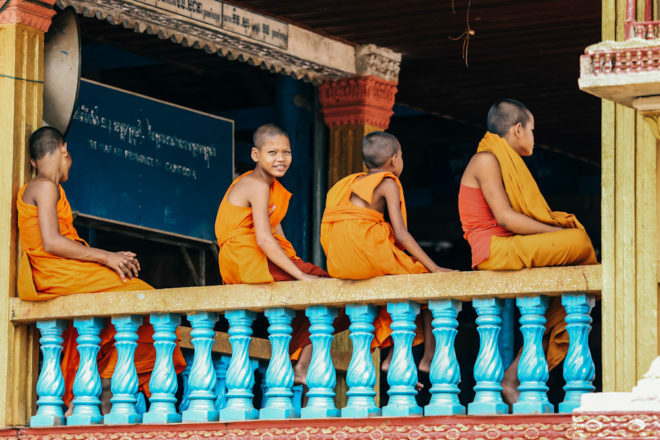 Photographer Elise Hassey spent time cruising the Mekong, the thriving artery of the country, on Scenic’s Luxury Mekong cruise (from Ho Chi Minh City to Siem Reap). Here, her thoughts and stunning vision. A city of 1.6 million laid out in a grid designed by the French, with beautiful colonial buildings. It is incredible to sit outside the temples at dusk and photograph the monks relaxing with friends. Young families gather in the square, children chase the pigeons and eat fairy floss, while groups do communal aerobics by the water’s edge. We ride an ox cart through the villages to Kampong Tralach, to receive a monk’s blessing at Oudong Pagoda, among its lovely temples, stupas and gardens. In Koh Chen, a village famous for its silversmithing, we meet a girl who creates images of Angkor Wat from memory, and talk to 82-year-old maths professor Oum Son Thou who teaches the poor for free. He fled Cambodia in the 1970s but came back in 1993. During the genocide, books were burnt and people like teachers were targeted (as were people who wore glasses, as they appeared intelligent). Today, no one wants to become a teacher and kids only go to school for half the day. The 8th-century brick hilltop temple of Wat Hanchey commands a superb view of the Mekong. We photograph its rich colours, then take a stroll through a nearby weaving village, to watch demonstrations and listen as school kids sing to us. In Nokor Bachey, the renowned temple of Wat Nokor awaits, built out of sandstone and laterite, and dating from the early 13th century. 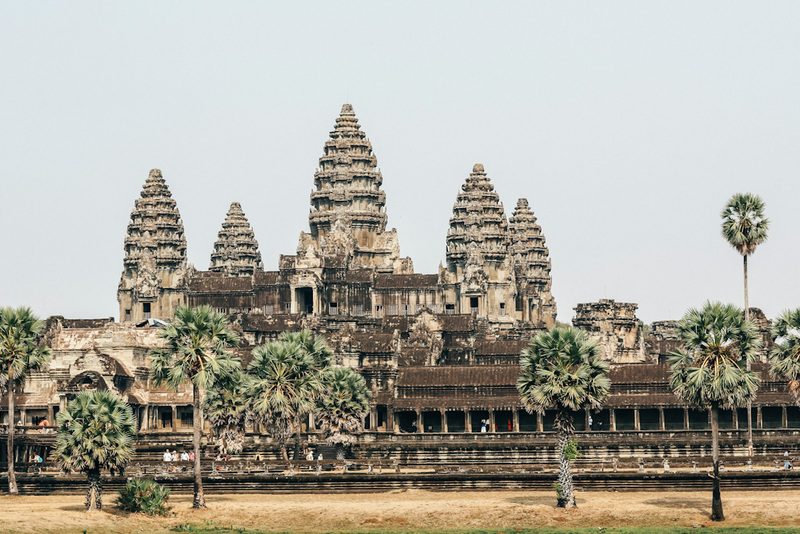 While this is not actually on our itinerary, our driver allows us to spend some time exploring the ancient structures, engulfed by the Cambodian jungle for hundreds of years before being rediscovered by missionaries in 1860. The most amazing aspect of exploring Cambodia is the people: I am continually welcomed by easily some of the friendliest, warmest people in the world. Walking through the villages and meeting them formed my favourite Cambodian moments.